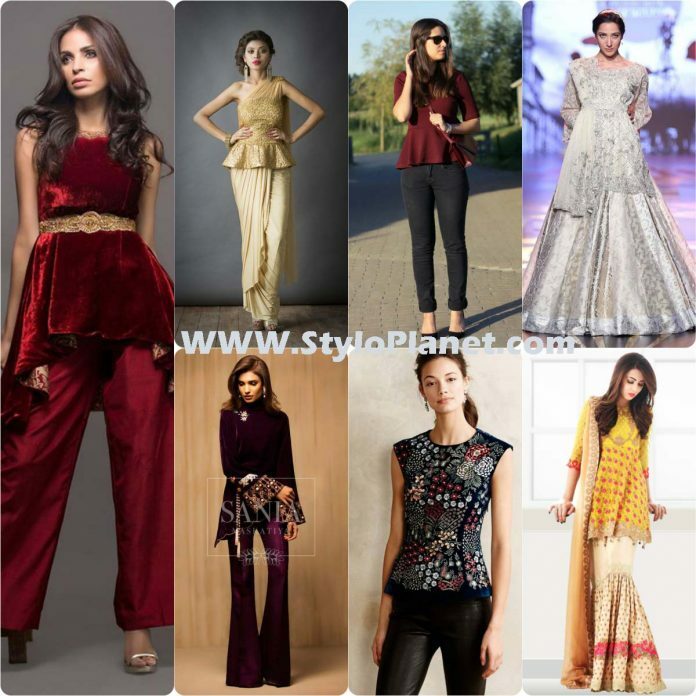 Peplum Shirts now becomes the first priority every single girl when they want to have chic and best party wear apparel, should be not only fancy but trendy as well. 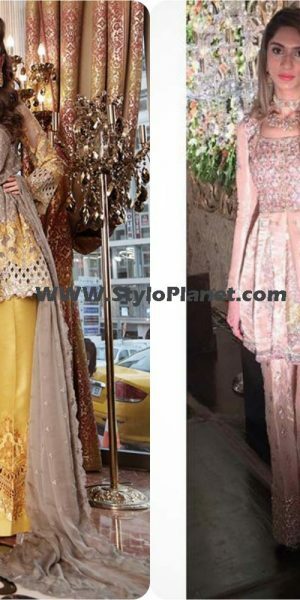 This fashion became in Pakistani clothing industry after greatly inspired by eastern fashion. 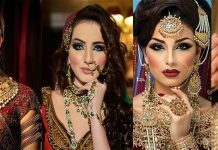 It is basically part of eastern fashion and now it has gained new name. 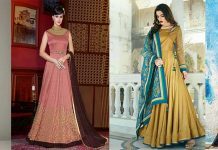 You can carry it with sarees, lehenga’s, cigarette pants, capri, plain trousers, bell bottoms, skirts, sharara’s etc and many others. As history repeats itself, same like fashion changes with the passage of time and come again market. 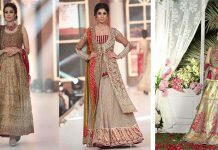 Our chic fashion icons adopt these ideas gracefully and present on ramps as their best collections. 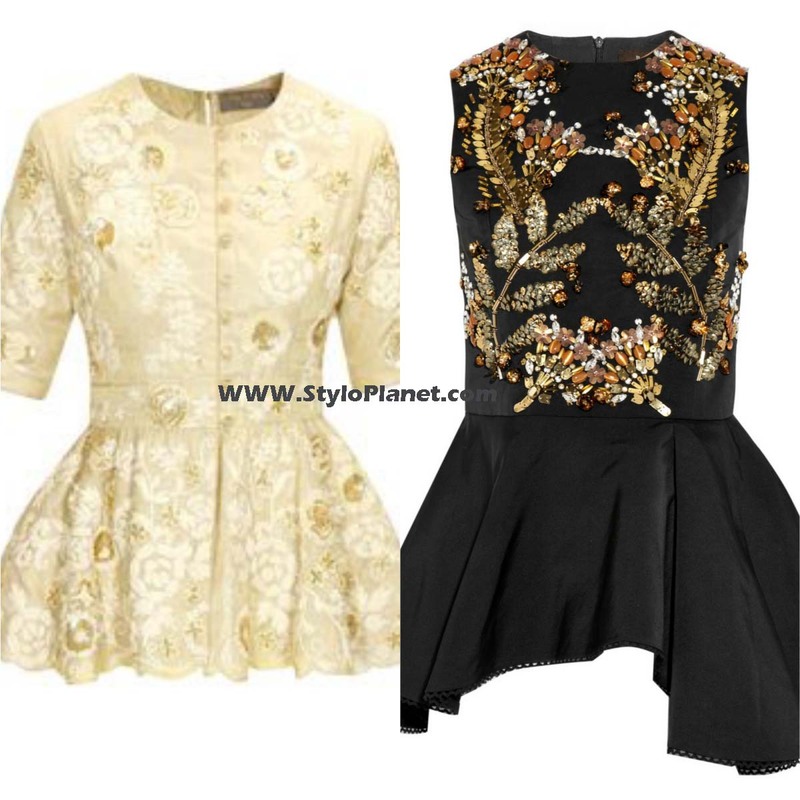 These Peplum shirts are usually in short length as compared to umbrella and angrakha style frocks. These tops are stitched with latest cuts and designs. 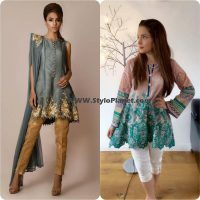 You can pair plain top with embellished trouser or you can carry embroidered shirt with plain trouser or pant in beautiful combinations. 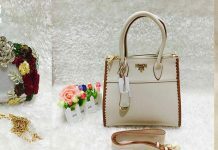 With the change in year, fashion world also flooded with lots of variations and unique designs not only among clothing line but also in footwear’s and accessories. This year fashion of Peplum tops is very popular and becomes the demand of every women for their formal events, not only this you can also wear it as your casual wear in plain fabric. 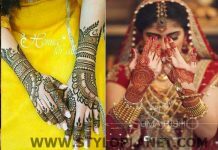 Here we have posted some images to makes your parties and weddings more enjoyable and funky. 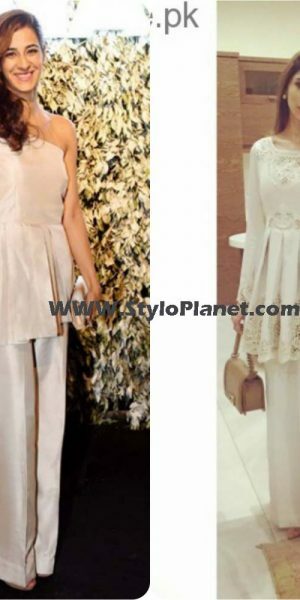 Tulip Pants are most trendy this year, this style hits all fashion ramps and fashion weeks, so when these are paired with peplum it just gives amazing outlook. 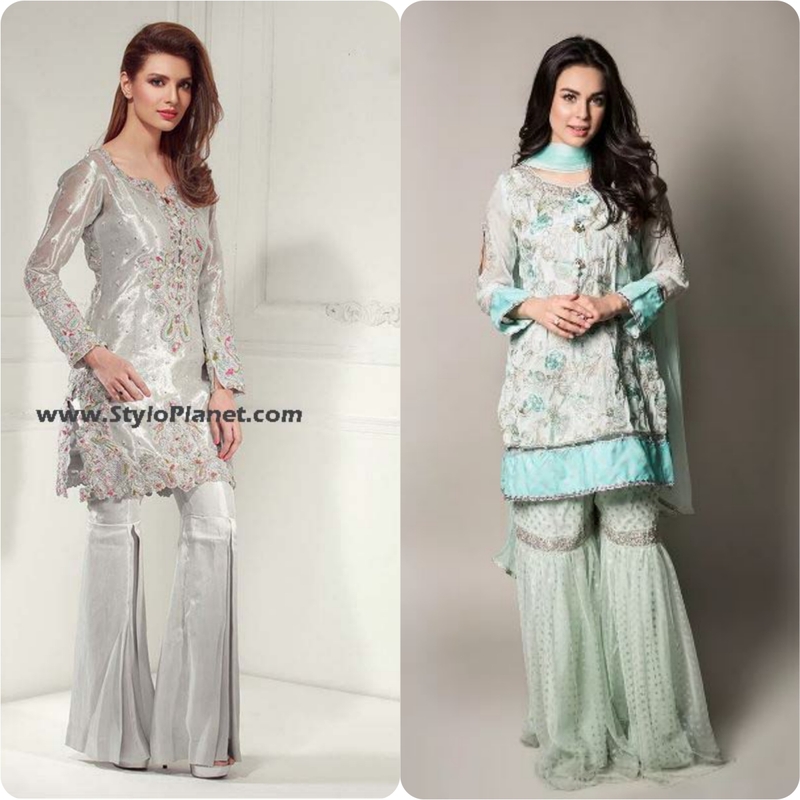 If tops are embroidered the bottoms are printed or adorned with pearls or in jamawar fabric. Mostly these are paired with plain tulips in off-white and black combinations. 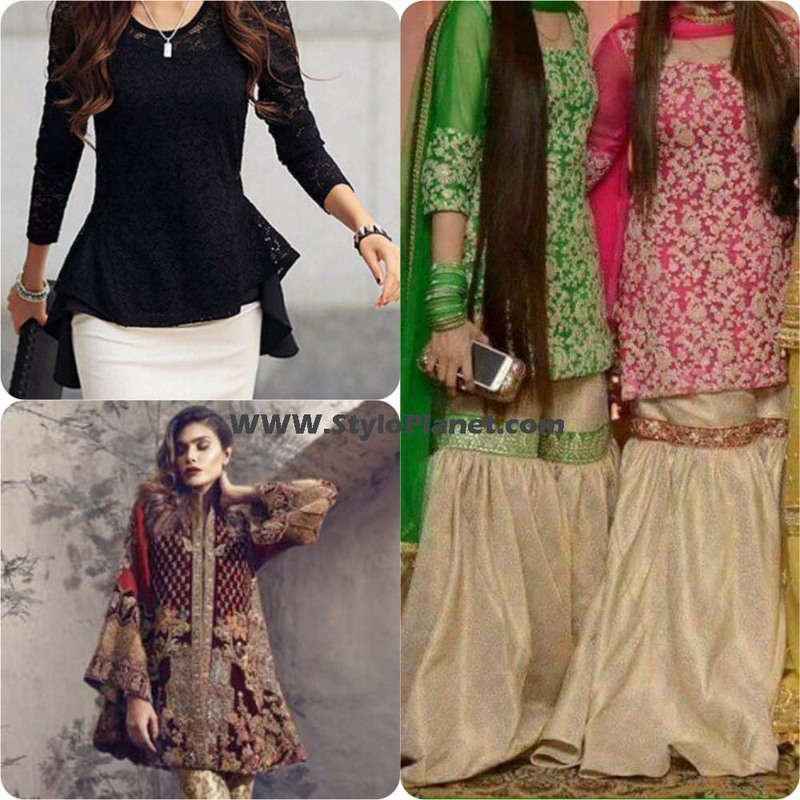 Peplum tops are the best match of bell bottom trousers, you can see all designers latest series contains these shirts in their formal collections. 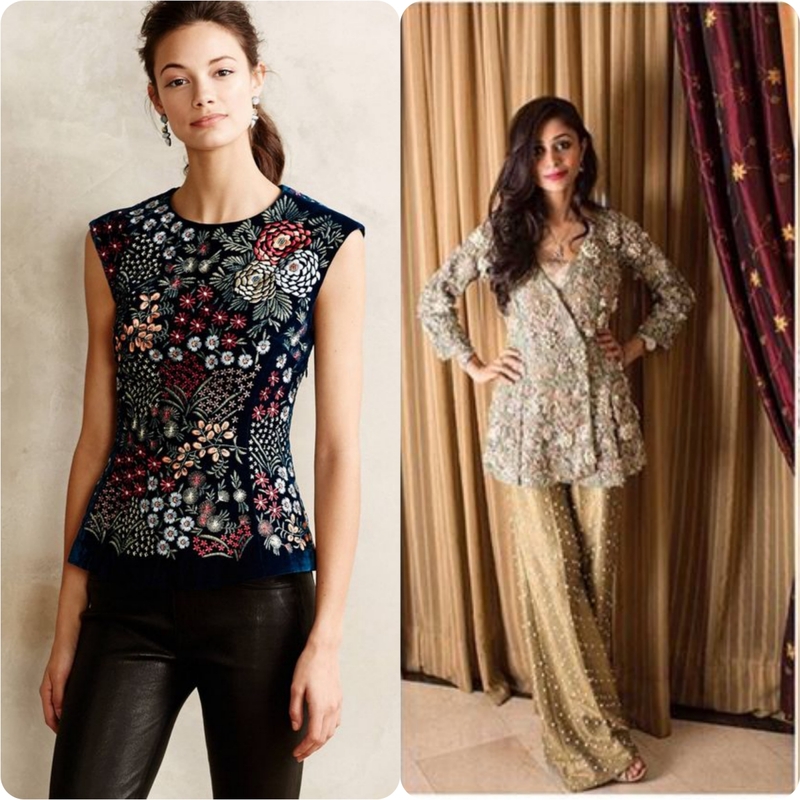 Bell Bottoms and Peplum Shirt have bell in stitching style, so it gives a perfect match. 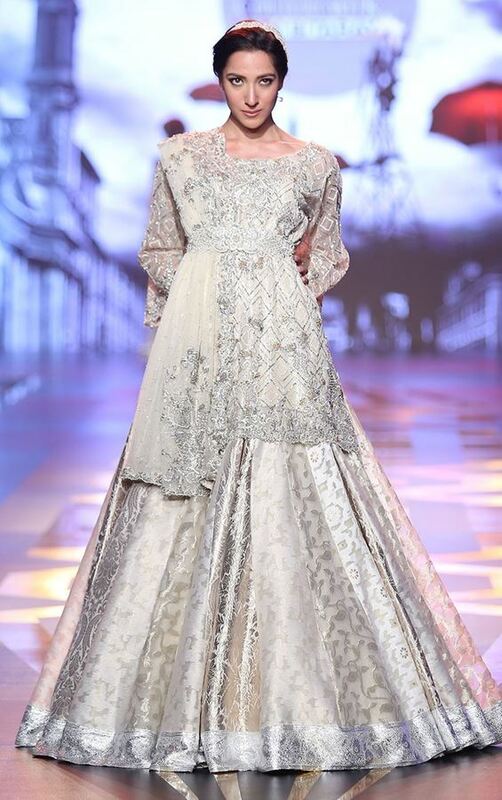 When you have to go for formal events then these are embellished with heavy embroidered work along with silk bottoms while for casual wear these are available in printed stuff. 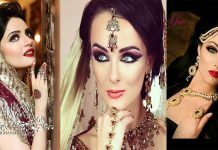 Not only for our parties, Peplums are also a part of Bridal couture. 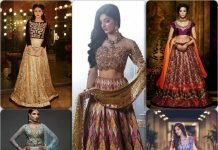 Recently all designers reveal their bridal assortments which contains stunning shirt with heavy volume of Lehenga’s or long shirts. 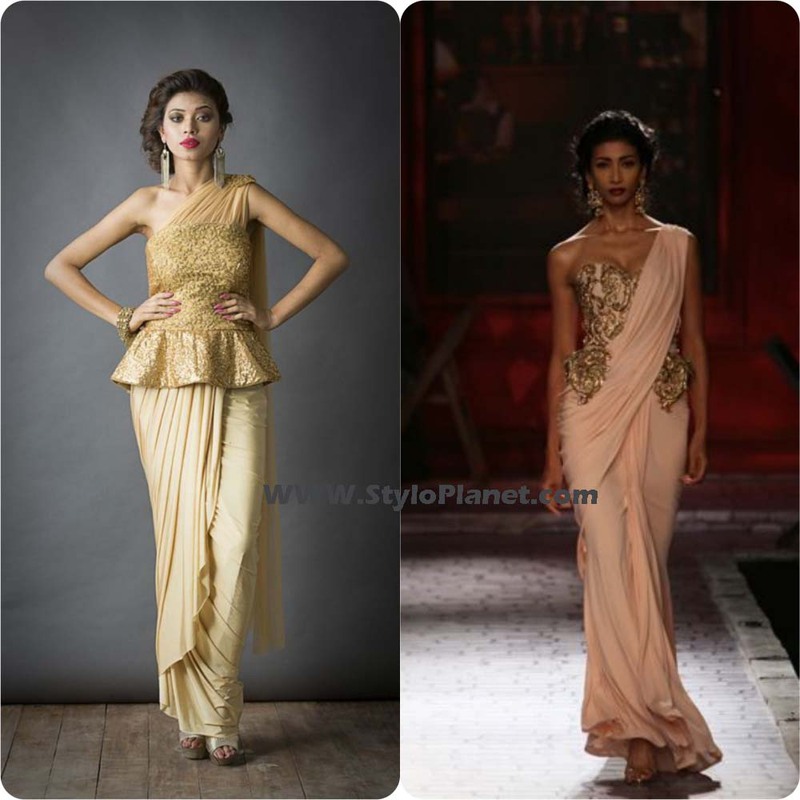 If you add waist belt on your wedding apparels, it just mesmerize all. AS this fashion was part of Eastern world, it was usually used with jeans. 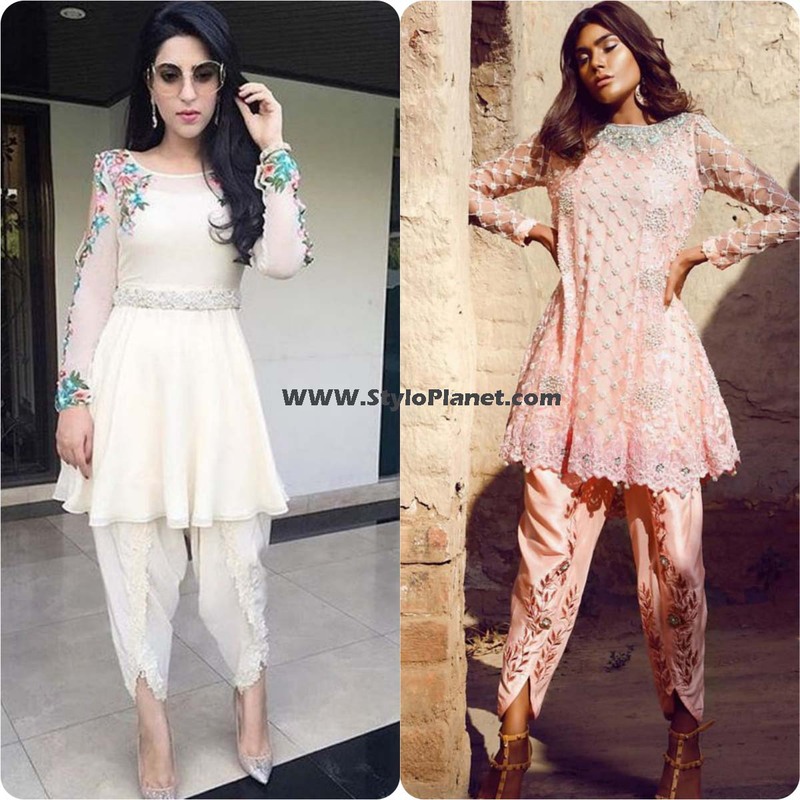 These shirts was only designed in simple fabric but now being part of formal wear these are available in chiffon, silk, embroidered net, Georgette and velvet. When you use waist belt over it then it adds more glare and modernity to your look. 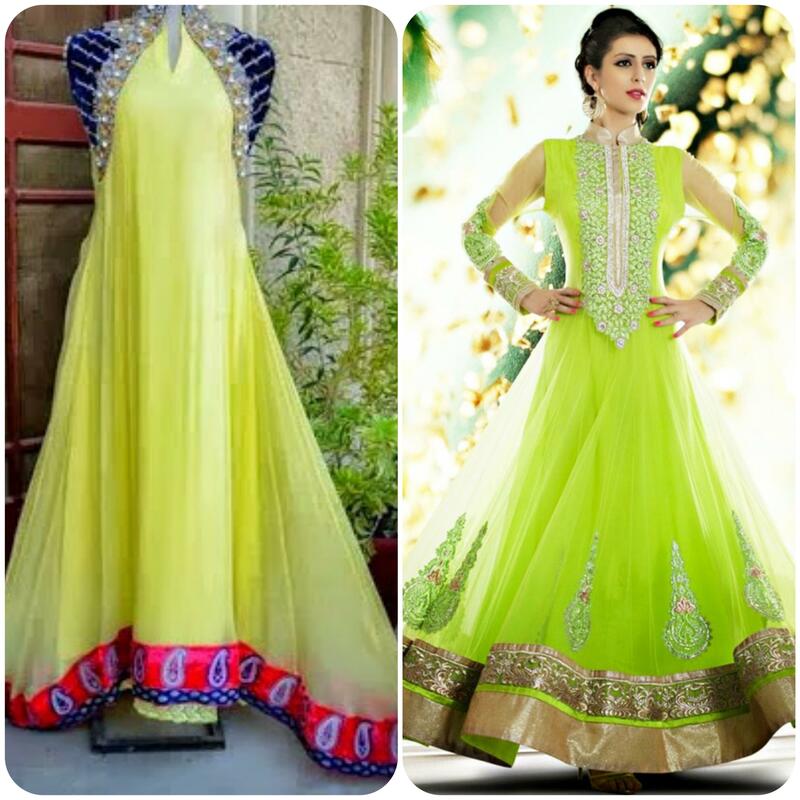 If you are fashion lover and like eastern wear then you can pair with with jeans or skirts. 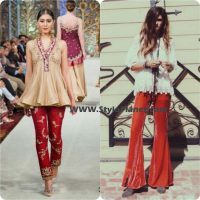 In our previous article we have discussed sharara pants which are now hitting this year, so when these are paired with short peplums, frocks and cape style dresses. As shown below. 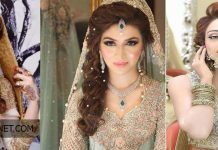 Saree is basically Indian fashion, but equally loved by Pakistani girls as well. So keep modernity and traditional touch you can wear it in such style as shown. 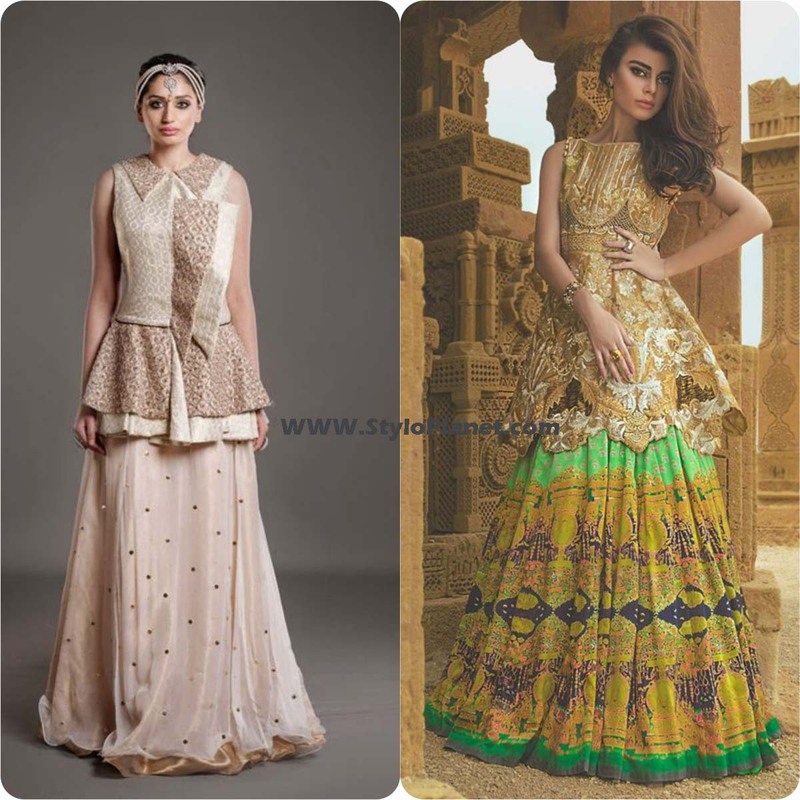 For formal and semi-formal events you much have to wear fancy or embroidered dresses, then this style is best as this trendy and latest as well. 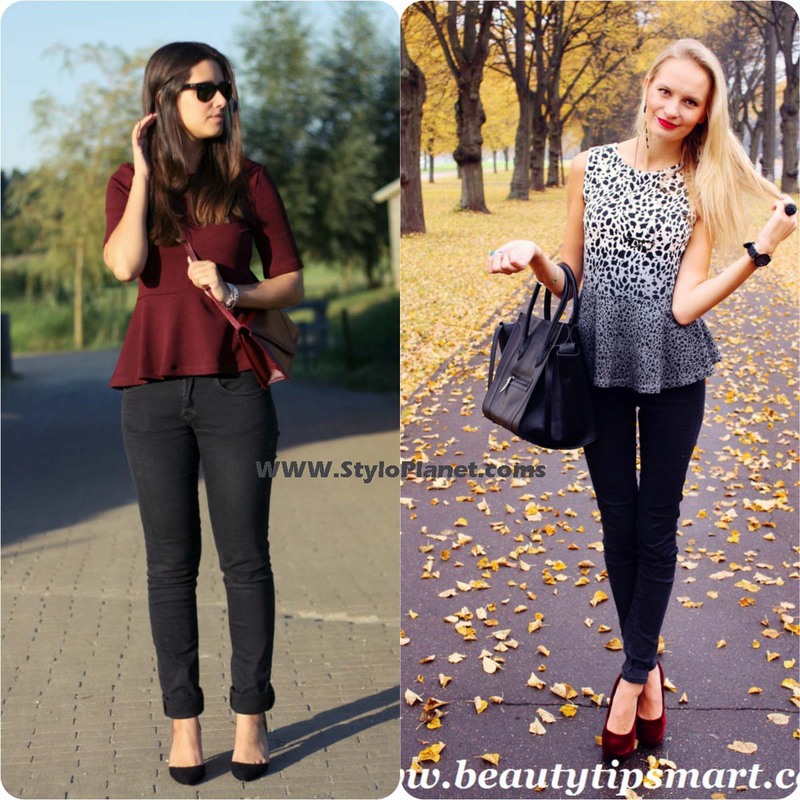 Peplum Shirts now becomes the first priority every single girl when they want to have chic and best party wear apparel, so here we have collected some images.